Selfie was the Oxford Dictionaries Word of the year for 2013, and it's not hard to see why. From party to office and launch to the bathroom, selfies have become an essential tool for self-expression throughout social networking sites, across the web, and around the globe. PicMonkey an online photo editing tool, commissioned a study to probe American adults about the selfies they've posted online - and the selfies they wish they'd kept to themselves. Here's what they found out. As it turns out, men love sharing their selfies even more than women do - that is until the selfie hangover hits. 47 percent of U.S adults have ever taken a selfie. 80 percent of people who have taken a selfie have shared it publicly. 26 percent of people who have publicly shared a selfie have regretted it later, including 31 percent of men and 21 percent of women. Surprisingly, the men who share most aren't millennial. Of those who have taken a selfie: 93 percent of men aged 35 - 44 have shared a selfie publicly compared to 78 percent of women aged 35 - 44. 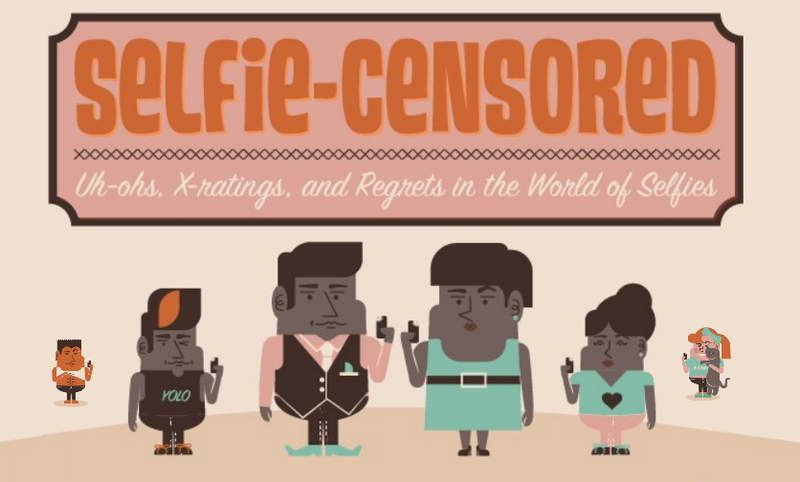 Only 1 in 2 Americans who take selfies say their photos are always G-rated.